My purpose is to help you find exactly what you're looking for in terms of personal and professional growth and development. There is a resource of tremendous worth inside you, and I will help you connect with this goodness for your use in your life and relationships. When you are operating at your highest level of health and happiness, you are a benefit to everyone in your life. Taking care of the magnificent and complex being that is you is actually the most kind and loving gesture you can make in your life. 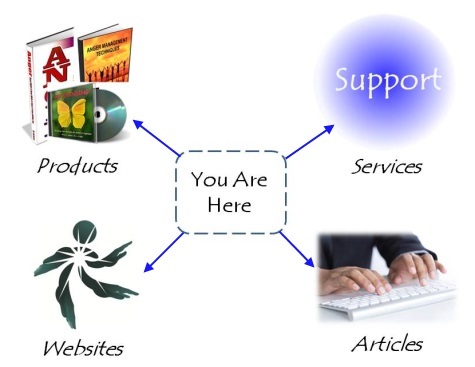 From here, you can access all of my services, products and websites. You'll see the links to these in the left column of this page, where you'll also find access to our newsletters, social media pages and blogs. The focus of my work is two-fold, and the secondary goal feeds directly into the primary goal. The primary goal is to access, awaken and activate the brilliant goodness in you, your family and/or organization. The secondary goal is to identify and remove barriers to the full and complete expression of that brilliant value that resides at the heart of who you are. With the barriers out of the way, you will re-activate old skills and begin learning new ones that will literally help you to be the happy, healthy and successful person you were born to be. Fulfilling your needs is what we're all about. Please let us know how we can be of service to you, your family or organization. And remember, whatever you want to achieve or overcome...you have what it takes.